Live Native.......have you heard of them? If not you have now! And I'm pleased to be blogging about them because their range of skin and bodycare products are fabulous; seriously. 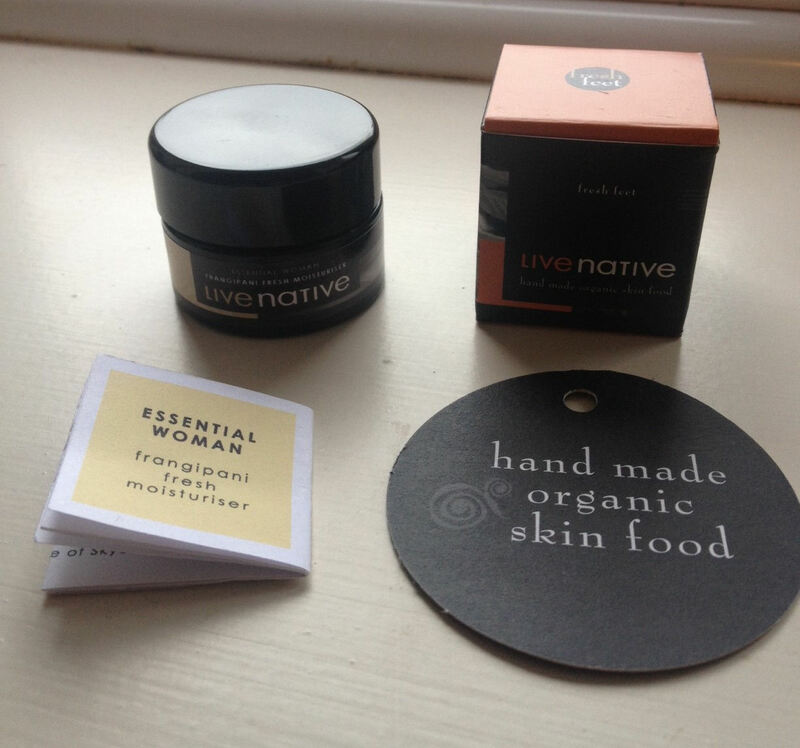 I’m not one to gush but I've been really impressed with what the lovely Vicky Ewbank, founder of Live Native sent to me to try out. It all started on Twitter, which seems to be THE place to hang out these days, particularly if you are into meeting fab new people. 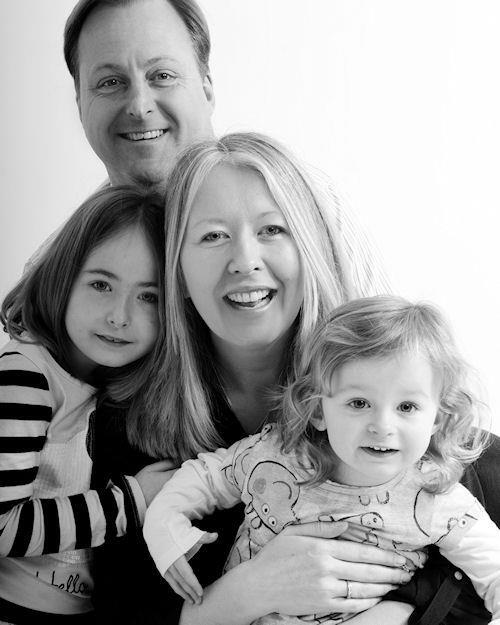 It always scared the life out of me, all this tweeting malarkey, but I have to say that if I did indeed have more time on my hands, I’d been permanently glued to my keyboard and I’m not sure my two girls would appreciate that. I get enough grief from Sophia these days on the lines of “Mum, you’re not on the computer AGAIN are you? !” Oh dear, Mummy’s been swallowed up by cyberspace. Note to self; I must tweet less, I must tweet less ! Anyway, one Friday I was spreading the Follow Friday (#FF) love on Twitter (as you do) and included Live Native and Living Naturally Soapnut Shells. I’d bought a sample pack of soapnuts and a natural stain remover bar to try out for the blog and mentioned this in another tweet to Living Naturally. I mentioned that I was looking forward to trying them out. The lovely Vicky tweeted her thanks for the #FF and added “Have a great weekend playing with your soapnuts! x” This tickled my sense of humour and so a twitter chat began that ended in the lovely Vicky offering to send me something from their range to try out. I was chuffed to bits as I’d heard great things about Live Native. I am very interested in raw, live foods and through this interest I’d come across Raw Gaia's skincare range before. 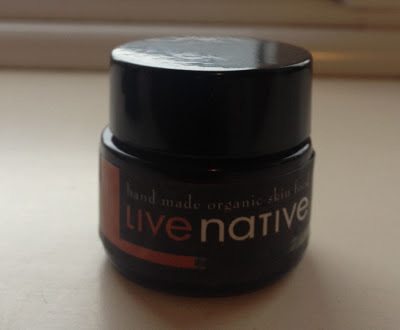 Live Native was another “live” skincare range I’d briefly come across, so to have the opportunity to experience something from them was very exciting indeed. All their products are lovingly handmade, toxic-free, vegan, cold pressed, organic and are made from the purest of ingredients. Vicky kindly sent me a 15ml pot of Frangipani Fresh Moisturiser and a 15ml pot of Fresh Feet Moisturising Balm to try out. I’d recently been using a Bio2You skin serum which you can read about here, and it had really helped to start closing up my pores. If you've been reading the blog you’ll know that I had acne as a teenager and my skin is still oily on the T-zone area. Due to generally having problem skin over the years, my pores tend to be on the larger side which can be frustrating. I decided to stop using the Bio2You serum whilst I tried out Live Native’s moisturiser to get the full effects of something new on my skin. I’m glad I did. I opened the pot and wasn't sure if what I was seeing was correct. I was expecting a cream. However, what greeted me when I opened the pot was more like a firm butter. My first thought was this is wrong, it must be “off”. I read the instructions and it said the product would melt into my hands and should be patted onto the skin. This made me rethink my initial thoughts and I realised that this is exactly how it was supposed to look. It made me start to think a little more “outside” the box! The Frangipani moisturiser smelt lovely, really unusual. I applied it to my skin and as it was quite rich I wondered if it would just leave my skin feeling all sticky and greasy. But no, my skin drank it up and I was left with silky skin which had a lovely glow to it. My foundation went on well over it too, so it was a thumbs up so far. I used nothing else until the pot was empty. I forgot to photograph the full pot of loveliness but did capture the last bit in the pot for you – sorry ! Got carried away using it every day. When I did try to photograph some of it on my hand it kept melting, so I gave up as I didn’t want to waste any! It had become too precious to me and my skin. 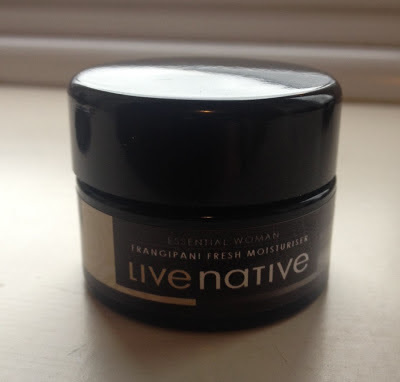 My pores closed up even more whilst using Live Native’s moisturiser. That means so much to me. It’s made me realise that your skin needs “feeding” just as much as you do. This journey I’m on, finding new products to share with you in addition to what I've already found is a great learning curve for me. I’d place Live Native in your upper end of the skincare market. Yes, it’s a little more pricey than most, but without reservation you get what you pay for. This is the Esteé Lauder Clarins, Clinique end of the free-from market but even better. In fact I’m probably doing Live Native a disservice here as there is very little like this I've come across out there. It’s pretty unique. The Fresh Feet Moisturising Balm has gorgeous overtones of lemongrass and rosemary. It is made for tired, sore, overworked feet. It massages well into the skin and doesn't leave any greasy residue. Your feet are left feeling silky soft and well moisturised. Before having the girls, Reflexology was one of the therapies I offered as a Holistic Therapist, and this would have been a lovely balm to end my treatments with. It melts into the skin and is like nothing I've come across before. It is another pot of raw, living loveliness. The Live Native range spans cleansers, skin masks and moisturisers to deodorants, and hair repair balm. It has definitely made it onto my “must have” list. If you would like to know more and try this delightful range of loveliness for yourself, then hop across to Live Native’s website: www.livenative.com. You can also follow them on Twitter and they also have a Facebook Page too. Thanks for reading and do leave me you comments. I love to hear what you think. 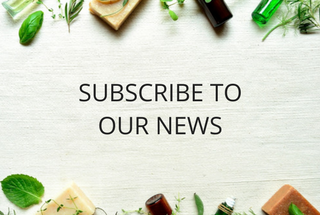 Remember if you would like to keep up to date with future blog posts, then don’t forget to subscribe either via email, Bloglovin, or Google+. I’d also love you to follow me on Twitter @SophiasChoiceUK and perhaps you could give me a Like on Facebook too. Disclaimer: I was given a 15ml pot of Frangipani Fresh Mosituriser and a 15ml pot of Fresh Feet Moisturising Balm to keep and review for this post. All thoughts, feelings and opinions given are my own and no one else's. I always give my honest feedback.